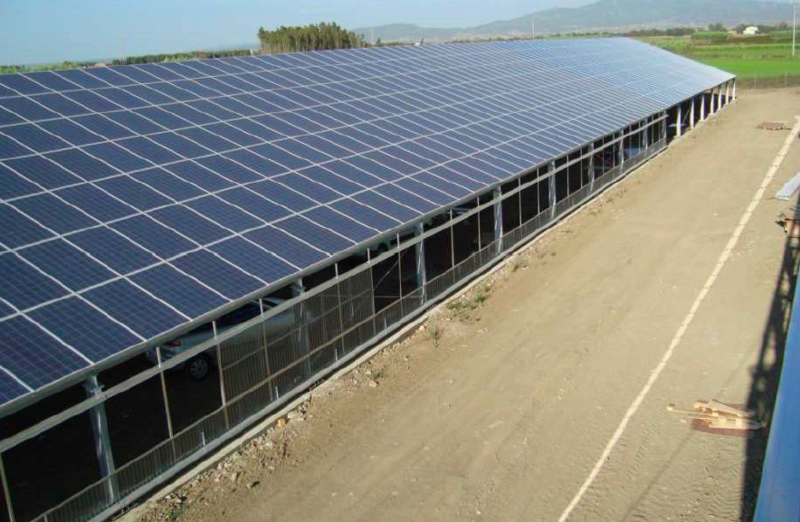 Homes, hospitals, hotels, industrial facilities and greenhouses (see photo): These are some of the many uses for turnkey PV systems produced by Millennium Solar, an Israeli business which was set up in 1999 and specialises in PV-Thermal (PVT) technologies. Founder and Managing Director Ami Elazari is also a participant in the Application of PVT Collectors research platform, established under the auspices of the IEA Solar Heating and Cooling Programme (IEA SHC). “We can contribute in-field experience in PVT to the platform and learn something new on the R&D side,” he explained the benefits of his involvement. Millennium Solar is a small but fairly flexible company. It has a permanent staff of 5, including the managing director. Therefore, yearly turnover can vary substantially based on how many deals were inked. Typically, the figure ranges from USD 10 million to USD 250 million. The company’s list of projects includes 260 MWp of PV plants, located all around the world. PV panels are delivered by manufacturers from eight countries. “However, we specialise in PVT. We have patents on several technologies and have installed many different types of PVT systems,” said Elazari. The production capacity of the business’s two semi-automated factories in Israel, where 35 people work in one shift, is 6 MWp in total. To meet growing demand, Millennium Solar is reportedly planning to buy PVT panels from OEMs in China next year, although it will keep its production facilities in Israel to manufacture systems for customers in MENA countries. 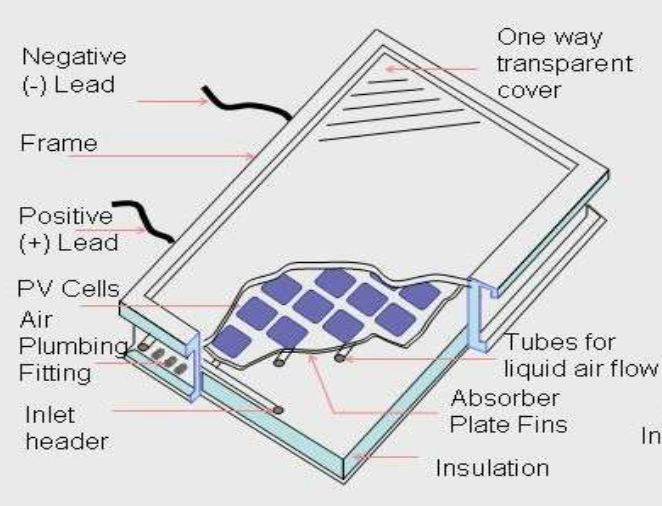 The company’s Multi Solar System allows for generating electricity at around 19 % efficiency, via a 340 Wp polycrystalline module, and producing heat at 60 %, through a metal absorber. “In our previous patents, we chose air as the heat transfer fluid,” Elazari said, adding: “But we have since started using hot water only to make things easier for end customers.” The absorber consists of copper pipes and a copper plate, fixed to the PV panel by means of a special, and patented silicon zinc glue. Millennium Solar’s list of completed PVT projects gives a very clear overview of potential applications. In all, 30 small systems have been installed in a residential area in Germany to supply electricity and hot water for sanitary purposes and space heating, while two small PVT cooling plants are being operated in Austria and Dubai, and more than 100 PVT systems have been delivered to a village in Israel. PVT is also being used for greenhouses in Italy and China. Another system, built at a dairy plant in the People’s Republic, has as much as 10 MW of capacity and provides electricity and hot water for cleaning pipes and washing around 11,000 cows. According to Elazari, the last example was a particularly promising market: Producing 1 litre of milk requires about the same volume of hot water for washing the animals and cleaning the equipment between shifts. Millennium Solar is not only striving to diversify its portfolio but extend its geographical reach. For example, it operates in Australia, France, Germany, Greece, Italy, South Korea, Spain, Portugal and the USA (mainly in California), as well as in the emirate of Dubai. “I feel quite good about our short-term prospects, as we have already received customer orders to deliver tens of megawatts of PVT capacity,” Elazari said.